Laurell K. Hamilton is a New York Times Bestselling Author of fantasy and paranormal fiction. Some of her most popular works include the Anita Blake: Vampire Hunter series, and the Merry Gentry series to name a few. 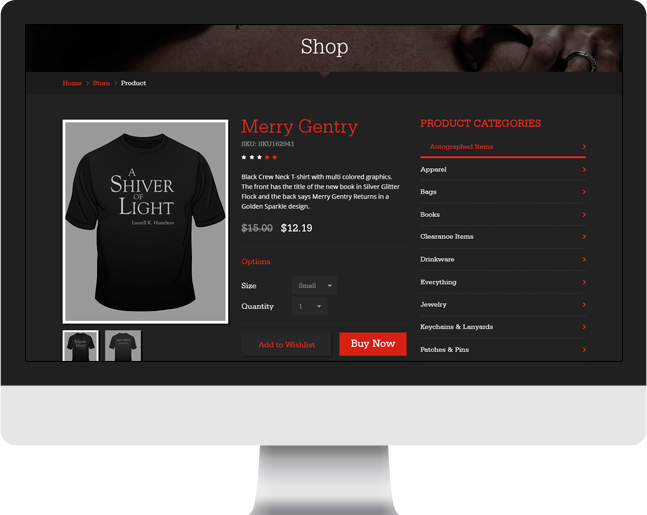 Cultura Interactive was contracted to transform their existing website into a unique environment to promote her work, upcoming events, and also provide an online e-Commerce store where customers, readers and fans can purchase copies of the author’s books and merchandise. Our skilled graphic design team created a brand new identity using custom shapes, fonts and colors to match the overall theme of the new website. After a few designs, we successfully achieved the final logo that distinctly represents Laurell K. Hamilton’s unique style. 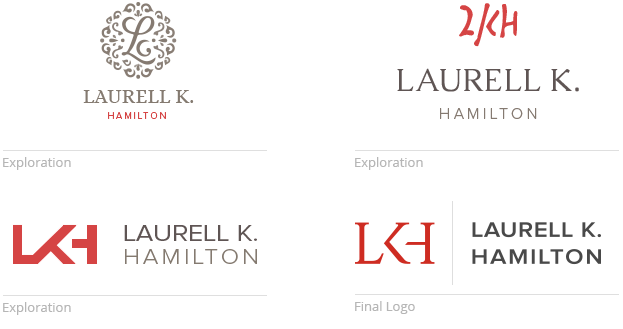 Before initializing the actual design, our team created a set of wireframes to map out the structure of Laurell K Hamilton’s new website. During this process, our team worked closely with our client to ensure that the new website would not only reflect the author’s personality, but also allow visitors to easily navigate each page and make purchases. 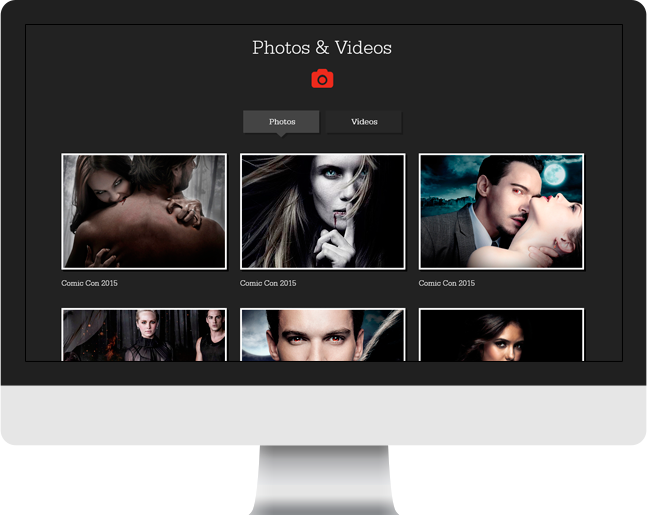 The new website was transformed into a custom WordPress theme, with e-Commerce capabilities and eye-catching design. 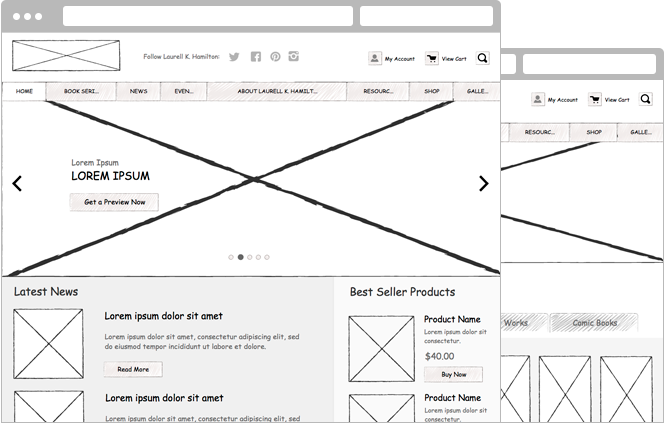 The built-in content management system (CMS) makes it easier to update the product inventory and descriptions, add the latest news, input upcoming events and much more. Readers also have access to downloadable book excerpts (PDFs), and can even listen to the audio books straight from the website. 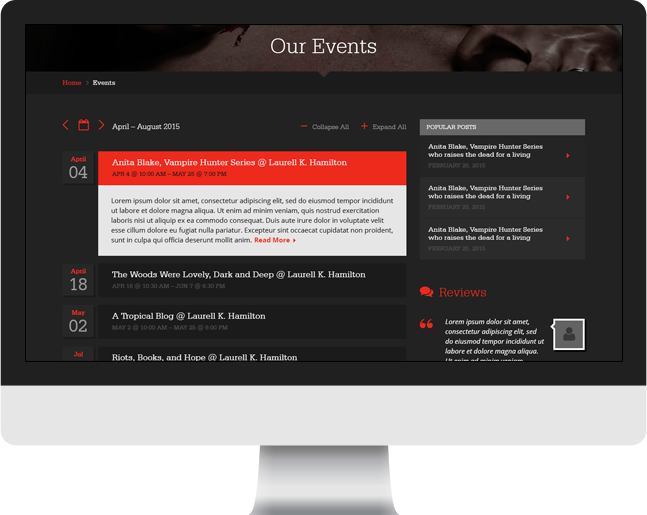 Since visitors are able to read and listen to book excerpts online, our team created a mobile version of the website using responsive web design methodology. From mobile phones to tablets, readers can comfortably download and enjoy their favorite excerpts on any screen size. We will contact you with a customized quote for your project.